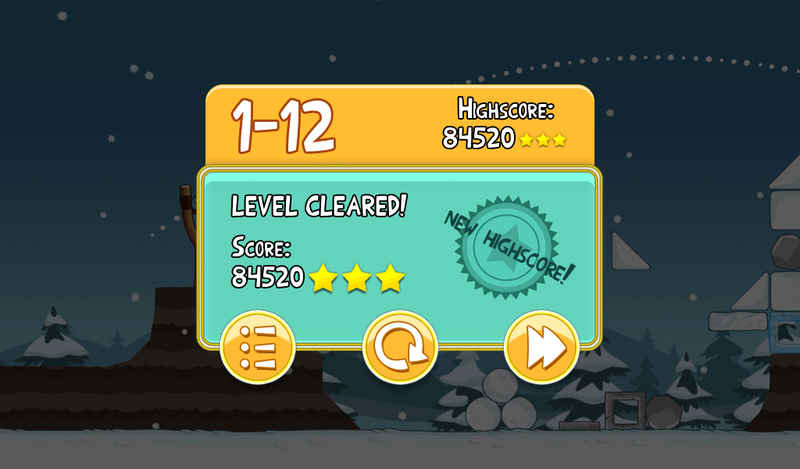 Angry Birds Seasons Day 12 – Post up some scores! These seem to be getting harder and harder and harder and harder…or I’m just that awful. Actually, day 12 of Angry Birds Seasons was no where near as difficult as day 11, so I’m as glad as anyway to see that we’ve moved on from it. So what ya got? Beat 84520? Angry Birds Season Day 11 – Post up those Scores!